If Victoria Royals leading scorer Matthew Phillips had the puck on his stick and Kelowna Rockets defenceman James Hilsendager was playing goal, you would undoubtedly put your money on the shifty, skilled forward to easily score. That exact situation presented itself last night in overtime in the Rockets 3-2 shootout win. Hilsendager made the biggest save of his WHL career when rookie goaltender Roman Basran misplayed a loose puck just inside the Rockets blue-line. With Phillips skating quickly towards it for a quality shot on goal, Basran skated dangerous out of his net in an attempt to play it. The 16 year-old wanted to shoot it up ice but missed it. Badly out of position, Basran watched in horror as Phillips picked up the puck and skated towards the wide open goal with only Hilsendager standing in his way. Phillips fired it on net only to see the veteran defenceman get his leg on it in what can only be described as a crazy sequence of events in a highly entertaining game. That was the best save of the game, right? With time ticking down in the third period, Royals goaltender Griffen Outhouse made a high-lite reel glove hand stop on Rockets forward Jack Cowell. Cowell found himself sitting all alone at the side of the net with the puck on his stick. With Outhouse focused on what was happening to his right, the veteran goaltender dove across in desperation and flared his glove out to make a miraculous stop on Cowell, who had a sure goal taken away. Lucky? Yes! Desperation 101? Without question. That save is WHL Plays of the Week worthy. I think both teams will be happy with the outcome. Playing short-staffed with players either injured or participating at the World Junior Hockey Championships, the game featured end-to-end action, great goaltending and a little bit of luck. Again, the entertainment value was off the charts for two teams that meet again in late January with hopefully their entire rosters available to them. I want Cal Foote to be on the ice. I want Regan Nagy to be available. Noah Gregor needs to demonstrate his speed and Dillon Dube has to be part of the equation. It only gets better from here with four games left between these two teams. The Rockets ran their home ice winning streak to a WHL high 12 games. Brandon had it's 10 game home ice winning streak snapped earlier in the day by Moose Jaw. The Rockets are 13-3-0-1 at Prospera Place this season. The Wheat Kings and Moose Jaw Warriors each have 16 home ice wins. The Rockets also extended their winning streak to five games and have 11 wins in their last 14 games. Yes, they are 11-3-0-0 over that stretch with losses to Brandon, Moose Jaw and Swift Current. Two of those three losses came without Dillon Dube, Kole Lind and Cal Foote. Kyle Topping scored his 14th goal of the season, matching his career high set in his rookie campaign. The second year forward has points in 6 of his last 7 games. The Rockets lost forward Liam Kindree early in the game to what appeared to be a left leg or ankle injury. The rookie forward was grimacing in pain after going awkwardly into the end boards in the first period. Kindree needed to be helped off the ice favoring his leg and did not return. Leif Mattson opened the scoring with his career high 10th goal of the season. It was his first goal in 8 games. Can Mattson score 15 goals this season? I can't see why not. If he almost reaches the 20 goal mark, that is a terrific season for a player who doesn't benefit from massive amounts of time on the power play. While scoreless in his last 7 games, forward Nolan Foote hit the goal post no less than twice in the win. Foote did find the back of the net in the shootout though, beating Griffen Outhouse with a nice snap shot to the glove hand side. While Tyler Soy and Matthew Phillips each had a goal and an assist, which Royals forward impressed me the most? I thought rookie Dino Kambeitz was terrific. The thing that stood out for me was how hard it is to take him off the puck. I assume the 5th round bantam pick is built like a 10 tonne truck. He looks like an immovable object. James Hilsendager likely doesn't get the credit he deserves. While his save in overtime was terrific, his physical play is such a key component on the Rockets blue-line. A first period hit by Hilsendager sent Royalas forward Spencer Gerth flying into the Victoria bench. I just love how Hilsendager never avoids contact with an opposing player. Connor Bruggen-Cate played in his 100th career game Saturday night against the Royals. I really liked how the coaching staff used 16 year-old rookie d-man Kaedan Korczak in overtime. He played significant minutes and didn't look out of place. The dude can skate, defend and despite the lack of offensive totals this season, the high hockey IQ is clearly there. In fact, I thought it was Korczak's best game of the season, which included a chance to score his first career WHL goal when he was fed a puck at the right face-off circle in the third period but berried his shot into Outhouse's midsection. I like sportsmanship. The photo above is a clear indication of the class of Royals goaltender Griffen Outhouse as he greets 16 year-old rookie Roman Basran at centre ice. The photo was captured nicely by Marrissa Baecker/Cindy Rogers, who were both on their 'A' game last night with some outstanding photos. The Rockets closed out 2017 like they started it ...with a win. The team opens 2018 on Wednesday against the visiting Tri City Americans. For the first time this season, the Kelowna Rockets are in sole possession of first place in the BC Division. On opening night they shared it with the Victoria Royals, but after chasing their Island nemesis for three months, they now sit two points up on them with two games in hand. At one point this season, the Royals enjoyed an 8 point advantage. 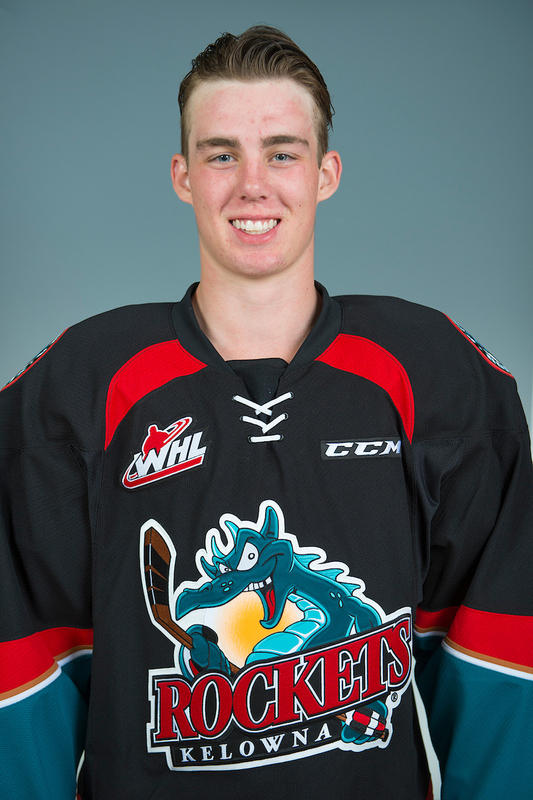 Kole Lind scored three times last night leading the Kelowna Rockets to a 3-0 win over the Kamloops Blazers. While Lind was scoring, rookie goaltender James Porter Junior made 28 saves in the shutout as the Rockets extended their winning streak to four games. Porter has two shutouts in his last three starts. Lind now has two-three goal games in his last four. Honestly, Lind could have scored more times last night but failed on a second-second period breakaway, as the 19 year-old fired a season high 9 shots on goal. Lind's skill set is elite, with some now questioning why one of the best scorers in Canadian junior hockey is not playing for his country in Buffalo this week. Since Lind's return to Kelowna after being released from Hockey Canada's main camp, the pride of Shaunavon, Saskatchewan has 7 goals and 4 assists, which is good for 11 points. Lind scored 30 goals last season and has 20 goals this season. Those 50 goals have been scored in 97 regular season games. Lind scored twice on the power play and now is tied with Carsen Twarynski for the team lead in power play goals with 8. Both Kole Lind and Carsen Twarynski have enjoyed two-three goals games this season. Who was the last Kelowna Rockets player to record three hat-tricks in one season? Justin Keller accomplished the feat during the 2005-2006 season when he scored 51 times. Chuck Kobasew also had three-three goal games in 2001-2002. Kobasew scored 41 goals that season. Brett McLean had three-three goal games in 1998-99. 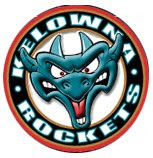 McLean had 7 career hat-tricks wearing Kelowna Rockets colours. If you compare Wednesday's 2-1 shootout win over the Blazers and last night's 3-0 road victory against the same team, it was like comparing apples to oranges. I am not saying the Rockets were without their warts in their 22nd win of the season, but it was a much improved effort from two days prior. Structurally, the team played a much better game. Puck management resulted in a significant reduction in the number of turnovers the team surrendered. In Wednesday's win, I hadn't seen the team look that disorganized in their own zone since a 6-3 loss in Moose Jaw back on December 12th. The game featured three fights. Rookie Kyle Pow, second year forward Connor Bruggen-Cate and 20 year-old Carsen Twarysnki were involved in the physical affair. It was Pow's third fight of the season and Twarynski's first as a Kelowna Rocket. Bruggen-Cate has 4 fighting majors in his career, with three of the them coming against the Blazers. Regardless of the outcome, I thought it was great to see all three guys show up and defend themselves or a teammate. Let's throw Kyle Topping in the mix, who was involved in some rough stuff after line-mate Kole Lind was labeled at the Blazers blue-line by Nolan Kneen. While no penalty was called on the play, Kneen clearly had Lind lined up for a huge hit when the forward skated with the puck inside the Blazers zone,. Kneen came across and laid the boom on Lind, who crashed to the ice but quickly made his way to his skates and didn't miss a shift. On video replay it appeared to be a clean hit. I saw no head contact at all, which was good news for both players. Head contact would have likely resulted in a concussion for Lind and a suspension for Kneen. The Rockets are now 4-0-0-0 in the seasonal series against the Blazers, with the penalty killing unit having killed off 13 of 14 shorthanded situations. At the half way point of the season, the Rockets sit in first place in the BC Division, but also in first place in the Western Conference standings. That's awfully impressive for a team that has played without a top six forward (Erik Gardiner) for 22 consecutive games, lost their starting goaltender to injury (Brodan Salmond) and are riding two rookie goaltenders to the top of the standings. Rockets face Blazers - again! Game Night Preview: The Kelowna Rockets and Kamloops Blazers meet tonight for the fourth time this season. The Rockets are 3-0-0-0 in the seasonal series, but escaped with a 2-1 shootout victory Wednesday night over their arch BC Division rivals. Kole Lind scored the lone goal in regulation time and rookie Liam Kindree scored the decisive goal in the shootout. The real story was the play of goaltender James Porter Junior, who made 46 saves in regulation/overtime and then made four additional stops in the shootout to earn first star status. The Rockets have killed off 10 of 11 Blazers power plays in the three games and are 4 for 16 (25%) with the man advantage. The Rockets close out the month of December tomorrow night against the visiting Victoria Royals. The game against Victoria will be the first of three consecutive games on home ice. The Rockets host Tri City Wednesday and Seattle Friday. One week from Sunday, the Rockets play a single road game in Calgary against the Hitmen in a quirk in the schedule. Looking Ahead: The Rockets play 13 games in January. Of those 13, six will be played on home ice. Six of those games are against teams in the Central Division including two each with Medicine Hat and Lethbridge. Five of those games are against US Division teams including three against the Seattle Thunderbirds, the only team in the WHL they have failed to play this season. Broadcasters Notebook: Kole Lind is riding a four game point streak. The 19 year-old has 5+5=10 over that span…Kyle Topping has a five game point streak (3+4=7)…The Rockets record after 35 games this season is 21-11-2-1. Last season the hockey club was 21-12-2-0 after 35 games….…Leif Mattson has 7 more points than he had all of last season…Carsen Twarynski has goals in 9 of his last 13 games…Twarynski had a career high 45 points with the Calgary Hitmen in 2015-2016. The 20 year-old is 6 points shy of that total this season…The Rockets have three hat-tricks this season from Carsen Twarynski (two vs. Portland/one vs. Prince George), and Kole Lind vs. 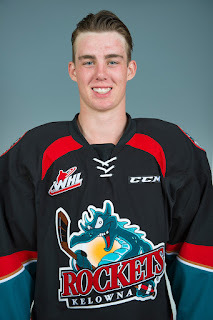 Prince Albert…Kole Lind had three goals in a game against the Kamloops Blazers in December, 2015…Cal Foote and Dillon Dube have made Canada’s entry at the World Junior Hockey Championships…The Rockets have sent 17 players to Canada’s roster at the World Junior Hockey Championships….Nolan Foote has goals in four of his last 9 games…Kyle Topping and Libor Zabrasky are both rated as ‘C’ prospects for June’s NHL draft by NHL Central Scouting. Topping was not on the ‘Players to Watch’ list in October before appearing in November’s rankings…The Rockets have won 11 straight games on home ice with wins over Portland, Tri City, Prince George (twice), Vancouver, Red Deer, Edmonton, Lethbridge, Kootenay and Kamloops….The Rockets played their 16 hundredth regular season game in franchise history November 3rd in Victoria in a 4-2 win……The Rockets are 4 and 2 in overtime with game winners coming from Kole Lind, Dillon Dube Carsen Twarynski (twice). The only loss in OT came against the Tri City Americans and Portland Winterhawks…The Rockets are 8-5-1-0 in the second of back-to-back games….The Rockets are 10-3-0-0 against BC Division teams this season….The Rockets are 16-1-0-1 when leading after 2 periods…The Rockets are 16-2-1-1 when scoring the first goal of the game….Erik Gardiner has missed 21 games after being injured October 28th vs. Prince George. Milestones: Kyle Topping is playing in his 95th career game tonight….Head Coach Jason Smith coached his 100th career regular season game against the Kootenay Ice on December 2nd…Carsen Twarynski played in his 200th career game October 28th against the Prince George Cougars…James Hilsendager plays in his 200th career game November 14th vs. Oil Kings. Game Night Preview: The Kelowna Rockets open the post-Christmas break with a home game against the Kamloops Blazers. This is the third meetings of the season between these two teams. The Rockets are 2-0-0-0 after sweeping a pair of games in the first weekend of the regular season in late September. The two teams meet in Kamloops Friday night before clashing again February 16th. The Rockets are 11-3-1-0 in their last 15 regular season home games against the Blazers. The Rockets are coming off a highly successful Eastern Division road trip where the team went 3-3-0-0 with wins over Regina, Saskatoon and Prince Albert. After playing 6 consecutive games on the road, the Rockets enjoy playing 7 of their next 12 on home ice. The Rockets host Victoria Saturday (Dec 30th) night. BC Division Battle: The Kelowna Rockets had a record of 4-5-1-1 in the first 11 regular season games of the season. Since then the team is an impressive 16-6-1-0 in their last 23 games. The Kamloops Blazers are 14-8-0-1 in their last 23 regular season contests. The surging Vancouver Giants are 13-8-1-1 in their last 23 games while last place Prince George is 9-12-1-1 in their last 23 games. Victoria is 11-10-2-0 in their last 23 games. Broadcasters Notebook: The Rockets record after 34 games this season is 20-11-2-1. Last season the hockey club was 20-12-2-0 after 34 games….Kyle Topping had 3+3=6 on a 6 game Eastern Division road trip…Topping has 7 more points than he had all of last season…Leif Mattson has 7 more points than he had all of last season…Carsen Twarynski had 5+2=7 during the teams recently road trip through the East Division….Twarynski has goals in 9 of his last 12 games…Twarynski had a career high 45 points with the Calgary Hitmen in 2015-2016. The 20 year-old is 6 points shy of that total this season…Libor Zabransky has 5 assists in his last two games including a career high 4 assists vs. Prince Albert December 15th…The Rockets have three hat-tricks this season from Carsen Twarynski (two vs. Portland/one vs. Prince George), and Kole Lind vs. Prince Albert…Kole Lind’s three goal game last night was the second of his career. Lind had three goals in a game against the Kamloops Blazers in December, 2015…Cal Foote and Dillon Dube have made Canada’s entry at the World Junior Hockeey Championships…The Rockets have sent 17 players to Canada’s roster at the World Junior Hockey Championships….Nolan Foote has goals in four of his last 8 games…Kyle Topping and Libor Zabrasky are both rated as ‘C’ prospects for June’s NHL draft by NHL Central Scouting. Topping was not on the ‘Players to Watch’ list in October before appearing in November’s rankings…The Rockets have won 10 straight games on home ice with wins over Portland, Tri City, Prince George (twice), Vancouver, Red Deer, Edmonton, Lethbridge and Kootenay….The Rockets played their 16 hundredth regular season game in franchise history November 3rd in Victoria in a 4-2 win……The Rockets are 4 and 2 in overtime with game winners coming from Kole Lind, Dillon Dube Carsen Twarynski (twice). The only loss in OT came against the Tri City Americans and Portland Winterhawks…The Rockets are 8-5-1-0 in the second of back-to-back games….The Rockets are 9-3-0-0 against BC Division teams this season….The Rockets are 15-1-0-1 when leading after 2 periods…The Rockets are 15-2-1-1 when scoring the first goal of the game….Erik Gardiner has missed 20 games after being injured October 28th vs. Prince George….Name the only team the Rockets have failed to play in the Western Conference this season? Answer – the Seattle Thunderbirds. The Rockets face the T-Bird three times in the next 11 games. The team makes two stops in Kent on January 12th and 19th. The T-Birds are in Kelowna January 5th and February 23rd. Milestones: Kyle Topping is playing in his 94th career game tonight….Head Coach Jason Smith coached his 100th career regular season game against the Kootenay Ice on December 2nd…Carsen Twarynski played in his 200th career game October 28th against the Prince George Cougars…James Hilsendager plays in his 200th career game November 14th vs. Oil Kings. Despite losing three consecutive games in the middle of a 6 game in 9 night Eastern Division road trip, the Kelowna Rockets finished strong with back-to-back wins in Prince Albert and Saskatoon Friday and Saturday night. Here is a recap of a few observations from both games and the fact that the team played two games without Kole Lind and four games without top flight forward Dillon Dube and captain Cal Foote. In the Rockets 7-3 win in Prince Albert Friday night, the question heading into the game was how mentally fragile was Kole Lind after being released from Hockey Canada's world junior team? After receiving the devastating news late Thursday night, the 19 year-old was back with his club team trying to come to grips with what hit him like a 10 tonne truck. Lind, who has pro written all over him, bounced back with a tremendous game, scoring three times, all on the power play in the lopsided win. If Lind was sulking after Team Canada's snub, he wasn't showing it externally as he took his anger out against the Raiders. Lind's presence on the ice was a huge boost for a team that had lost three straight games and were desperate for a win to salvage the road trip. The Raiders, playing their last game before the Christmas break, looked like their minds were on other things, generated only 10 shots on rookie goaltender Roman Basran through the opening two periods. The Rockets put the game away with three-third period goals with rookie Wil Kushniryk earning an assist on Connor Bruggen-Cate's 6th goal of the season to go along with a goal he scored in the second period. Speaking of rookies, defenceman Libor Zabransky had a career game with 4 assists and used this road trip as a coming out party for the likable 17 year-old rearguard. Rookie Kyle Pow earned his first career point, collected an assist on Kushniryk's second period goal and was involved in a late dust up with defenceman Austin Crossley. I was interested to see 18 year-old Raiders goaltender Ian Scott in action. A 4th round NHL draft pick of the Toronto Maple Leafs, it has been suggested the Calgary resident is the best at his position in the WHL in his age group. I assume it was an off night for Scott, who fills a good portion of the net with his 6'4 frame and has been on Hockey Canada's radar. Scott was yanked in the third period after giving up 7 goals on 26 shots. After a 7-3 road win against the Raiders, would the Rockets have enough jam to beat the Blades in Saskatoon in the final game of the extensive road trip? Opening up the scoring for only the second time on the trip, the visitors looked sharp through 40 minutes before lagging in the third period. Kyle Topping scored twice in the victory while Kole Lind collected four assists and was involved in his first fight of the season with Blades forward Tyler Lees. Rookie goaltender James Porter Junior, who looked out of sorts in his previous starts out East, was at his best with a 39 save shutout performance and was named the first star. As mentioned, while Porter was sharp, the Rockets were significantly more opportunistic against a Blades team that look like they struggle scoring goals. While generating 40 shots on net, several times over passing and missing the net proved to be the home teams worse enemy. Carsen Twarynski scored his team leading 24th goal of the season, which gave him a team high five goals on the Eastern Division swing. Kyle Topping's two goals against the Blades gave the second year forward three goals and three assists on the road trip. The 18 year-old has an impressive 36 points in 34 games this season.Think about that for a second. Did I believe the 11th round bantam pick would be a point a game player? Honestly, not this quickly. It isn't normal for 11th round bantam picks to produce that frequently. Jack Cowell responded with his first goal in 18 games to open the scoring. I am not sure what has happened to Cowell's game, but after being so good in training camp and pre-season, the 18 year-old just doesn't play with the same energy and determination he did earlier this season. Cowell had me excited when he scored three goals in his first two games, but since then his name rarely hits the score-sheet. Failing to shoot the puck is likely a reason why. Up until Saturday's game against the Blades, where he fired four shots on net, the Winnipeg product hadn't shot the puck that much since delivering five shots on goal in Portland way back on October 15th. Let's hope the Christmas break rejuvenates him. Libor Zabransky again picked up an assist Saturday night. The Czech Republic resident ended the Eastern Division road trip with a +7 rating. I hope next Christmas I can proudly say he is attempting to earn a spot on his countries world junior team. I think Zabransky is a gem. Give forward Leif Mattson credit for playing through discomfort after getting blindsided at centre ice in a 5-1 loss in Swift Current Wednesday night. The clean but solid hit that had Mattson grimacing in pain as he made his way to the bench, the Stonewall, Manitoba product didn't miss the final two games in Prince Albert and Saskatoon. The one player I was excited to watch in Saturday's match-up against the Blades was about to turn 17 year-old Kirby Dach. Regarded as a highly touted prospect and the second overall selection in the 2016 WHL bantam draft, it must have been a bad night for the well put together prospect. I was underwhelmed to be frank. Given significant ice time and given every chance on the power play, it was a rough night considering he was on the ice for three of the Rockets five goals. One of the five the visitors scored was on the power play while Dach was on the ice for Liam Kindree's shorthanded goal. Kindree, who has three more goals than Dach, spent a good portion of the start of the season off the power play and playing fourth line minutes. What does that say about Kindree's production? It was terrific to see Blades 20 year-old Cameron Hebig on the ice healthy, after missing all of last season with what some had suspected as concussion like symptoms. After sitting out his 19 year-old season, the overager has a team high 26 goals. The Rockets end the Eastern Division road trip with a record of 3-3-0-0. It could have been even better considering they carried a 3-1 lead into the third period against the Moose Jaw Warriors and made no less than two significant errors (breakaways) that resulted in a loss in Brandon. Heck, the only game they deserved to lose was Wednesday's 5-1 loss in Swift Current where the team just didn't show up. Enter the Christmas break, the Rockets have 20 wins, the exact same win total after 34 games last season. The Rockets are in a two way tie for first place in the BC Division, despite at one point trailing the Victoria Royals by as much as 8 points. Game Night Preview: The Kelowna Rockets play game five of a six game Eastern Division road trip tonight in Prince Albert. These two teams met last season with the Rockets earning a 7-1 win (Nov 12, 2016). The Rockets last appearance in Prince Albert was December 18, 2015 in a 3-1 setback. Lucas Johansen had the lone goal for the visitors. Reid Gardiner had two assists for the Raiders. The Rockets are 1-3-0-0 after a 7-5 win in Regina Friday night, a 7-4 loss in Brandon on Saturday, a 6-3 loss Tuesday in Moose Jaw and a 5-1 setback in Swift Current Wednesday night. After tonight’s game, the Rockets are in Saskatoon to face the Blades tomorrow night. Overall, the Rockets have lost three straight. The team returns home to face the Kamloops Blazers December 27th. Roady by the #’s: The opposition has opened the scoring in three of the four games. The Rockets are 3 for 14 on the power play in the four games and have surrendered 5 power play goals on 15 killing opportunities. The Rockets have given up 129 shots in the four games while firing a combined 140 shots (average 35 per game) at the opposition net. Eastern Division Success: The Rockets were 3-3-0-0 in 2015. The team was an impressive 6-0-0-0 in 2013 and 2-2-0-2 in 2011. They were 3-3-0-0 in 2009. In 2007, the team played only five games on an Eastern Division swing (excluding Swift Current) in December and sported a record of 3-1-0-1. The last time the Rockets failed to go on its bi-annual Eastern Division road trip was 2005. In 2003, the team was 5-0-0-0 but again did not play Swift Current on that road swing. In 2001, the team was 0-4-1-0 in five games. Broadcasters Notebook: The Rockets are playing their 18th road game tonight. Only the Victoria Royals (19) have played more road games in the BC Division than the Rockets…It looks like Kole Lind will play tonight after being released Thursday by the Canadian world junior team…The Rockets have sent 15 players to Canada’s roster at the World Junior Hockey Championships….Nolan Foote has goals in four of his last 6 games…Kyle Topping and Libor Zabrasky are both rated as ‘C’ prospects for June’s NHL draft by NHL Central Scouting. Topping was not on the ‘Players to Watch’ list in October before appearing in November’s rankings…The Rockets have won 10 straight games on home ice with wins over Portland, Tri City, Prince George (twice), Vancouver, Red Deer, Edmonton, Lethbridge and Kootenay….The Rockets played their 16 hundredth regular season game in franchise history November 3rd in Victoria in a 4-2 win……The Rockets are 4 and 2 in overtime with game winners coming from Kole Lind, Dillon Dube Carsen Twarynski (twice). The only loss in OT came against the Tri City Americans and Portland Winterhawks…The Rockets are 7-5-1-0 in the second of back-to-back games….The Rockets are 9-3-0-0 against BC Division teams this season….The Rockets are 13-1-0-1 when leading after 2 periods…The Rockets are 14-2-1-1 when scoring the first goal of the game. Milestones: Head Coach Jason Smith coached his 100th career regular season game against the Kootenay Ice on December 2nd…Carsen Twarynski played in his 200th career game October 28th against the Prince George Cougars…James Hilsendager plays in his 200th career game November 14th vs. Oil Kings. The Kelowna Rockets had no excuses. They really didn't. Sure, they were playing without their top three players Wednesday night in Swift Current. Yes, it was the team's fourth game in six nights, but the Broncos were without two of their top scorers too and were playing their 5th game in 6 nights. The Broncos were ripe for the pick'n as a prairie farmer once told me. While the Broncos picked up their 24th win of the season in a 5-1 win, the Rockets went from winning 6 in a row to quickly losing three straight. In a game where skill wasn't the deciding factor, compete was, the Broncos scored the first five goals and cruised to the win. The most deceiving stat of the night was the shot clock, where the Rockets sent 38 pucks towards Broncos 20 year-old goaltender Logan Flodell. Named the third star, Flodell made a handful of good stops in the four goal win. Thankfully for the visitors, Liam Kindree spoiled Flodell's shutout bid with less than four minutes remaining in the game. The Broncos coaching staff were worried before the game that fatigue may bite them in the rear end. Swift Current was in Edmonton Sunday night while the Rockets enjoying a day off in Regina. On Tuesday, like the Rockets, the Broncos were back in action playing at home against the Prince Albert Raiders. They had to have been tired, both mentally and physically. Unfortunately, the Rockets were unable to take advantage of a wearisome hockey club. At the start of this trip, I was looking for someone to really step up while Dube, Lind and Cal Foote were attending Hockey Canada's training camp in St. Catherines, Ontario. To this point, I haven't really seen anyone emerge. The good news is two games remain for someone to really show their value to the coaching staff in an effort to find themselves playing in crucial roles when the games become even harder after Christmas. Are the Rockets really that dependent on Dube, Lind and Cal Foote for success? I sure hope that is not the case. After two games without them, I am starting to wonder. Again, all three are wonderful players. They are three of the best 19 year-old players in Canada, so the loss of the trio is immense. That can't be debated, but don't tell me the supporting cast can't compete hard for loose pucks and be tenacious on the fore-check without them. It has been the staple of the meat and potato players the Rockets have iced over the years. Effort and compete is always there. Go back as far as Tyler Mosienko and Tyler Spurgeon to as recent as two seasons ago with Rourke Chartier and last seasons spark-plug Nick Merkley. Who is the next 'worker bee' on this team? Who is the energy guy? Who is the pain in the a$$ to play against and won't be outworked no matter what the scoreboard reads? It's an old cliche, but it is really true. It is not the team with the best players that win, but its the players with the best team that wins. Glenn Gawdin, the best player on the ice for either team, was the offensive spark plug with two goals and two assists to lead the Broncos attack. That should come as no surprise. As a drafted NHL player and a 20 year-old, should he not be the best player on the ice and be looked upon when his team is playing short staffed? That is probably why he signed a contract with the Calgary Flames last month. It is easy to show up when your best players are playing beside you, but are you able to generate offense or make terrific plays in an attempt to help your team earn a victory? Gawdin went out of his way to hit Rockets d-man Braydyn Chizen in the third period as a way of getting some aggression out after Chizen's hard hit on Kaden Elder in the first period. A positive? I thought Rockets rookie defenceman Libor Zabransky was terrific. I would go as far as to suggest it was his best game in the WHL. Forward Leif Mattson left the game in the third period favouring his shoulder after receiving a solid hit at centre ice. While it may look juvenile to some, the Broncos typically start the period with several players on the bench hitting the boards with their sticks before the opening face-off. In my opinion, it shows that they are engaged and ready to play. I have seen no other team in the WHL do that, unless I am missing something? Typically, the only time a team slaps sticks on the boards is when a teammate skates back to the bench after exiting the penalty box after a fight. With the Rockets trailing 5-0, Broncos head coach Manny Viveiros pulled back the reins and limited the play of 20 year-old's Glenn Gawdin and Matteo Gennaro. Viveiros went with his younger players to close out the game, so it was interesting for me to watch how the Rockets younger players matched up against the Broncos lesser lights. I ended up calling out Max Patterson's name (2 goals this season), Ethan Regnier (1 goals this season) and MacKenzie Wight (0 goals), several times in the final 20 minutes. I assume they receive little ice time when Aleksi Heponiemi and Tyler Steenbergen are in the line up. It was nice being back in the old stomping grounds. Even my high school football coach (yes, I attempted to play football in grade 10) stopped by the broadcast booth to say a quick hello. It was cool to touch base with new faces too, including the Broncos public address announcer who told me he listened to me call Swift Current Broncos games when he was a kid. I thought I was a kid too back in 1995 when I had the privilege of taking over from Eldon Moberg. Even alumnus Travis Moen took in Wednesday's game to see his old team play. I also had a good chat with Ryan Switzer before the game, who does a terrific job with anything regarding digital media (video) with the team. High five to Louie D's catering for the delicious post game meal. This dude nailed it - again. The chicken was wicked. I played hockey with Louie in the good old days and the rugged rearguard could scoot. Up next is a date with the Prince Albert Raiders. The Rockets have two cracks of getting it right before sipping on Eggnog. Through 40 minutes, you couldn’t have written a better script for the Kelowna Rockets. Leading 3-1 over the top team in the Western Hockey League, the Warriors erupted for five-third period goals in a 6-3 win. Carsen Twarynski with his 21st, Wil Kushniryk with his first career goal and Kyle Topping with his 11th scored for the Rockets, who dropped to 1 and 2 on this Eastern Division road swing. The Rockets face Swift Current Wednesday night against another team that boasts an abundance of skill. Twarynski had at least two golden chances to score before finding the back of the net with his career high 21st of the season. While having much to play for in an effort to sign an NHL contract, the Philadelphia Flyers have to be impressed by what they’ve witnessed from their 3rd round pick. The Rockets needed some secondary scoring with three key players out of the line up and they received it from rookie Wil Kushniryk. His shot on goal glanced off a Warriors defender and went past goaltender Brody Wilms, and at that point, it looked like an upset in the making. Kyle Topping’s 11th goal less than 30 seconds later and the Warriors were in a heap of trouble. But good teams know how to win, and the league leaders did exactly that by essentially staying the course and slowing chopping away at the two goal deficit. The turning point for me was the 3-2 goal when Warriors leading scorer Jayden Walbgewachs found the back of the net for his 33rd goal of the season. It was that goal five minutes into the third period that got the ball rolling in the comeback. The Rockets had an early third period power play chance to increase the lead to 4-1 but were unable to generate much in the way of chances. Rookie goaltender Roman Basran was named the third star in the loss. The 16 year-old was sharp in the first period and was even better in the second frame, including a mammoth save on Tristin Langan when the score was 1-1. But like his team, Basran was unable to come through with the same type of heroics in the third. The Warriors 26 win season is no fluke. They are a good team and have solid depth up front and move the puck well on the back end. As skilled as they are, I thought they often over-passed the puck to create chances. One wonders what type of numbers they would put up if they shot more rather than distributing the puck. Tuesday nights game was the first time this season that the Rockets carried a lead into the third period and lost in regulation time. The Rockets were 14-0-0-1 when carrying the lead into the final period. The Rockets discipline was good enough to win the game. They allowed the second best power play unit at home in the WHL just two chances and were successful on killing off both of them. As mentioned, the Rockets now get set for tonight’s game against the Swift Current Broncos. While Dillon Dube, Kole Lind and Cal Foote are lost to the Rockets, WHL leading goal scorer Tyler Steenbergen is lost to the Broncos. Like Moose Jaw, the Broncos are lethal offensively so the visitors will need solid goaltending again and a strong commitment to defending. Mosaic Place amazed me again as I walked into the building two hours before puck drop. The facility is so impressive considering what type of building they used to play in. The ‘Crushed Can’ had its own charm, but the new venue is liking going from a Pinto to a Ferrari. It’s one of the sweetest buildings in the WHL, with its broadcast location and amenities being among the best in the Eastern Conference. Game Night Preview: The Kelowna Rockets play game three of a six game Eastern Division road trip tonight in Moose Jaw. The Rockets are 1-1-0-0 after a 7-5 win in Regina Friday night and a 7-4 loss in Brandon on Saturday. Nolan Foote scored twice Friday and once Saturday to give him a team leading three goals on the trip. Older brother Cal has 0+4=4 in the two games but will be lost to the team as he, Kole Lind and Dillon Dube attending the training camp for the Canadian world junior team. The Rockets last played a game in Moose Jaw on December 16, 2016. Jackson Whistle made 27 saves in a 1-0 shutout victory. In 2013, the Rockets were a 6-3 winner with Myles Bell scoring twice. In 2001, the Rockets fell by a score of 4-1. Shane McColgan scored the lone goal in the setback. After tonight’s game, the Rockets are in Swift Current Wednesday before visiting Prince Albert Friday night. Roady by the #’s: The opposition has opened the scoring in both games. The Rockets are 2 for 4 on the power play (50%) in the two games and have surrendered 4 power play goals on 8 killing opportunities. The Rockets have given up 63 shots in the two games while firing a combined 72 shots at the opposition net. Broadcasters Notebook: Nolan Foote has goals in four straight games…Carsen Twarynski is one goal shy of a new career high. The 20 year-old scored his 20th goal of the season Friday in Regina…Kyle Topping and Libor Zabrasky are both rated as ‘C’ prospects for June’s NHL draft by NHL Central Scouting. Topping was not on the ‘Players to Watch’ list in October before appearing in November’s rankings…The Rockets have won 10 straight games on home ice with wins over Portland, Tri City, Prince George (twice), Vancouver, Red Deer, Edmonton, Lethbridge and Kootenay….The Rockets played their 16 hundredth regular season game in franchise history November 3rd in Victoria in a 4-2 win……The Rockets are 4 and 2 in overtime with game winners coming from Kole Lind, Dillon Dube Carsen Twarynski (twice). The only loss in OT came against the Tri City Americans and Portland Winterhawks…The Rockets are 7-4-1-0 in the second of back-to-back games….The Rockets are 9-3-0-0 against BC Division teams this season….The Rockets are 13-0-0-1 when leading after 2 periods…The Rockets are 14-1-1-1 when scoring the first goal of the game. The weather has to be the single biggest story outside of the Kelowna Rockets performance on this Eastern Division road trip. It has been incredibly mild in Saskatchewan. You are hard pressed to find snow on the streets of Regina. All you can see today is small clumps of dirty snow, mainly filled with gravel, washed up on the side of boulevards. The temperature today in Regina, as an example, is +1. The wind is always noticeable here, but when the temperatures are this mild, it's really quite manageable. When the team heads north for games in Prince Albert and Saskatoon on the weekend, the forecast is for a high of between 0 and +1 degree. For this time of the year, it's tropical in these parts. How friendly are Saskatchewan people? While the Kelowna Rockets were wrapping up practice at Brandt Centre in Regina, I was engaged in a conversation with Kamloops Blazers GM Stu McGregor. As is often the case, I lost track of time and noticed the Rockets bus had left the arena without me. As I quickly walked out of the arena in an attempt to catch it, an elderly lady walking out of the Pats souvenir store asking if I needed a ride. Indeed I did. After exchanged names and telling her my story about missing the bus, she gladly gave me a lift back to the hotel. I told her I was the Kelowna Rockets broadcaster and was originally from Swift Current. I am not sure which part of my story resonated with her, but she obviously felt picking up a stranger and letting him into her vehicle wasn't going to put her life in danger. In speaking with her, I found out her husband, confined to a wheel chair, has been a Pats season ticket holder for 20 years and she would be returning home with a unique story of chauffeuring the Kelowna Rockets radio broadcaster back to his hotel. Saskatchewan people have a heart of gold. I generally believe people look after one another, even complete strangers, but what we often hear is the negative side of people in this world that bring pain upon others. I wanted to share this story to remind you that people are indeed good, you just have to treat them with kindness and they will often reciprocate. Speaking of good people, I had a chance the other day to meet James Hilendager's parents on the way to Brandon. When the team stopped for a pre-game meal in Moosomin, two couples at an adjacent table asked if we/I was an official for the game that night against the Wheat Kings. I introduced myself to the Hilsendager's, who didn't know the face, yet knew the voice. It is a sure sign I am getting old. I often find great interest in gasoline prices from province to province. Gas prices range greatly here in Regina. One gas bar is offering regular unleaded gasoline for $91.9 cents a litre while another pump price reads $98.4 cents a litre. Regardless of where you fill up, anything under $1.00 a litre is music to my ears. While in Regina, did I visit the Riders Store? Do pigs like mud? Let's talk some hockey! As you may have heard or read, rookie goaltender James Porter Junior has been pulled twice on this Eastern Division road trip. Porter allowed 4 goals on 14 shots against Regina before being yanked after surrendering 4 goals on 11 shots against the Brandon Wheat Kings. Being pulled in back-to-back starts is nothing new for a Kelowna Rockets goalie prior to Christmas. Last season, on an Alberta road trip, starter Michael Herringer was pulled after giving up 3 goals on 4 shots against Lethbridge before getting pulled two nights later in Medicine Hat after surrendering 6 goals on 21 shots. For James Porter Junior to be rattled by early struggles on this road trip is unwarranted. No goaltender is immune to adversity and soft goals. The good ones are able to find the mental resolve to bounce back from them quickly. With the loss of Kole Lind, Dillon Dube and Cal Foote, the Rockets clearly lose an abundance of skill with four games remaining on this road trip. I've seen it time and time again. As Kevin Constantine was quoted as saying in his short stint as a coach in the NHL, 'Will beats skill'. Hard work and determined play goes a long way even against an opponent that has a greater degree of talent. The players that I anticipate playing the hardest are the three 20 year-old's on the roster. If I see maximum effort from Carsen Twarynski, Gordie Ballhorn and James Hilsendager, the younger players will follow. Those three are worth watching over the next four games. If they 'bring it', the Rockets have a fighting chance. When the team losses good players to Hockey Canada at this time of the year, lesser skilled players often make an impact. Look at last December's game in Lethbridge when Connor Bruggen-Cate and James Hilsendager scored their first goals of the season. Two nights later, Braydyn Chizen, Leif Mattson and Kyle Topping were involved in the scoring in an overtime win in Medicine Hat. All three were rookies at the time. To say first year players can't make an impact in the remaining four games of this road trip would be foolish. For the first time in recent memory, no prospects have joined the team for practice on this road trip. It has been common place for a underage player like Tyler Myers, Shane McColgan or Damon Severson to skate with the team at least once. What have I noticed in the first two games on this Eastern swing? My belief is the referee's out here call a looser game. They don't call the petty hooking and holding penalties like we see in the Western Conference. Leif Mattson is a real good interview. I spoke to him before Saturday's game in Brandon. Mattson has a good delivery, always sounds engaged in the conversation and it appears his fake interviews with teammate Liam Kindree on the bench before game time are paying off. Honestly, I often notice Kindree being the interviewer and Mattson being the interviewee while sitting on the Rockets bench with about 30 minutes left before pre-game warm-up. As they say, practice makes perfect and both players are solid behind the microphone. help in a number of areas if they want to be competitive in the 10 day tournament. They look eerily similar to the Saskatoon Blades from 2013. That was a mess. It didn't look much better in 2016 in Red Deer. I am sure Pats GM John Paddock has a few tricks up his sleeve come trade deadline day, but he is going to have to make a massive splash in an effort for the host team to be competitive against the champions of the three leagues. The radio set-up in Brandon was excellent. Hard line Internet, wireless Internet and a PA feed. Speaking of the PA announcer in Brandon, how good is he? The clarity in his voice is outstanding. Not over the top, even if the Wheat Kings score, his pronunciation of the visiting players was textbook terrific. Where opposition players names are often butchered, it doesn't happen in Brandon. Internet high 5!!! The Rockets had a team building exercise when they went curling Monday afternoon. 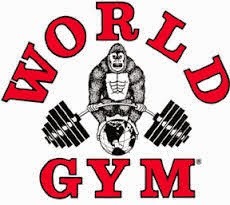 Have you ever tried curling or believe those that participate at the highest level are not athletes? Think again and try it yourself. It isn't easy. Does the WHL hand out a fine for comments made by Prince George head coach Richard Matvichuk towards two referee's following Sunday's overtime loss to the Victoria Royals? In the radio post game show, Matvichuk teed off on both Chris Crich and Nick Swaine. My takeaway from his comments? He wouldn't want either to do a pee-wee game. Have a good day and keep warm! The Kelowna Rockets are 1 and 1 after two games on an Eastern Division road trip. It all started Friday night with a 7-5 win in Regina before suffering a 7-4 loss Saturday night in Brandon. Both games were up tempo, with several solid performances from players that must elevate their play with the loss of Dillon Dube, Cal Foote and Kole Lind next week to Hockey Canada's training camp. Here is my take on both games. Winning the opening game Friday night against Regina wasn't a must, but it sure was a solid way to begin a road trip where fatigue will play a factor. The real concern for the Rockets in the opening game against the Pats was getting over the road fatigue after a 14 hour bus ride. While the team split the trip into two-7 hour segments, it still adds up to having bus legs when the puck dropped at the Brandt Centre. The Pats opened the scoring with the Teddy Bear Toss goal just four minutes into the game and it looked like a long night for the visitors. But give the team credit for bouncing back. With rookie goaltender James Porter Junior struggling and Pats veteran Tyler Brown no better at the other end, it was a clear advantage for the shooters who entertained the crowd with 7 - first period goals. The Rockets coaching staff deserve credit for pulling Porter when they did. While it is never ideal to yank your starter so early in the game, the 17 year-old was replaced by 16 year-old Roman Basran after giving up 4 goals on 14 shots. It paid off, as the Rockets scored the next four goals and took over the game. While head coach Jason Smith pulled Porter, Pats head coach John Paddock, surprisingly, did not remove Tyler Brown until it was too late. After surrendering 6 goals on 25 shots, the 20 year-old was relieved by backup Max Paddock. Leif Mattson was named the first star in Friday's win. The second year forward showed great hand-eye coordination on his second goal by deflecting a Libor Zabransky shot past Brown. What made the goal so impressive was Zabransky's shot at chest level was going significantly wide of the net before Mattson pulled it back to deflect it home. Mattson almost had the hat-trick, but his wrist shot in the third period hit the cross bar. Nolan Foote also had a solid game with two goals and a fight. Foote displayed his quick release and showed why he scored 19 goals in his 16 year-old season. Foote was on the wrong end of a late third period tilt with Pats forward Scott Mahovlich, but the fact that he stood in there and attempted to do something he isn't accustomed to doing received rave reviews from his team-mates. Carsen Twarynski scored his 20th goal of the season in the win. It matches his career high of 20 goals with the Calgary Hitmen two seasons ago. Kole Lind had his 8 game point streak snapped as the 19 year-old failed to hit the score-sheet despite a large contingent of family and friends cheering him on. The Rockets were not granted a power play until .9 seconds left in the game. Not one power play until that point? With 1:03 left in regulation time, Pats forward Tanner Sidaway engaged in a fight with 20 year-old Gordie Ballhorn. Sidaway was clearly the aggressor, yet the two officials didn't hand out an instigator as Ballhorn skated away from the fight without even taking off his gloves. Ballhorn received a cross checking call before the fight started, so the Pats were granted a power play even though the home team clearly wanted to take physical liberties with the game out of reach. The crowd in Regina Friday night was outstanding. Yes, it was Teddy Bear Toss night at Brandt Centre, but the 65 hundred fans packed the building and the atmosphere inside of it was excellent. After earning a solid road win against the Pats Friday night, the team took a 6 game winning streak into Saturday's road game against the Brandon Wheat Kings. The Wheat Kings were riding a 7 game winning streak. Again, the Rockets surrendered the opening goal just ;31 seconds into the game and the visitors had to gut it out to get back in the game. Who would get the ball rolling offensively? I sure didn't think 17 year-old rookie Ted Brennan would be that guy, but the soft spoken forward slide the puck past Wheat Kings goaltender Logan Thompson for his first career WHL goal. Just like that the score was tied at 1. Despite early struggles from Rockets starting goaltender James Porter, who was pulled again after surrendering 4 goals on 11 shots this time, the visitors were in a good position by building up a 3-2 lead halfway through the game. I thought the turning point came when Wheat Kings leading scorer Ty Lewis was unchecked in the neutral zone, skated in on a breakaway and scored to make it 3-3. That goal was one of three the home team would score in a span of about five minutes and it put the Rockets in a huge hole. While scoring a late power play goal to make it 5-4, the Wheat Kings sealed it with two, late third period goals and it was game over. The Rockets fired 40 shots at the Wheat Kings net and gave up only 15 shots over two periods to a team that features three dynamic forwards that can make you look silly. The big three of Tanner Kaspick, Stelio Matteos and Ty Lewis combined for four goals and 11 points in Brandon's 22nd win of the season. Second year forward Nolan Foote again found the back of the net with a beautiful power play goal in the first period to tie the score at two. Foote now has goals in four straight games, which is a far cry from the three goals he scored during a quiet stretch of 15 games earlier this season. Nolan Foote is heating up at just the right time. I thought older brother Cal was also excellent with three assists while also trying to do his best to defend a Wheat Kings team that has a lot of weapons offensively. Dillon Dube scored his 18th goal of the season Saturday night which extended his point streak to 7 games. With two games under their belt, the Rockets have two days off to regroup for two tough tests mid-week against the Moose Jaw Warriors (Tuesday) and the Swift Current Broncos (Wednesday). While the Rockets lose Dillon Dube, Cal Foote and Kole Lind to Hockey Canada, the Warriors lose forward Brett Howden while the Broncos will play without 35 goal scorer Tyler Steenbergen. Game Night Preview: May the force be with you! The Kelowna Rockets face the Brandon Wheat Kings for the one and only time this season. These two teams met last season in Kelowna (Dec 3rd) with the Rockets earning a 3-1 win. Nick Merkley scored the ‘Teddy Bear Toss’ goal while Brodan Salmond made 17 saves in the victory. The Rockets last appearance in Brandon was December 12, 2015 in a 5-1 loss. Lucas Johansen scored the lone goal for the visitors, who were out-shot 41-36 in the game. The last win in Brandon came December 13, 2013 in a 6-5 overtime win. Trailing 5-3 with 2:20 remaining, the Rockets made it a 5-4 game with :38 seconds remaining and then tied it with 9 seconds left in regulation time. Myles Bell won it in overtime at 2:52. Eastern Conference Roady: The team is playing game two of an Eastern Division road trip, which started last night in Regina. 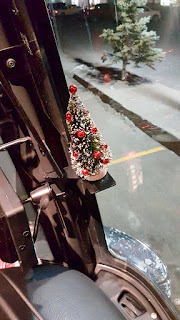 The team is in Moose Jaw Tuesday December 12th, Wednesday December 13th in Swift Current, December 15th in Prince Albert and concludes December 16th in Saskatoon. The Rockets were 3-3-0-0 in the 6 games in 2015-2016 with wins in Regina, Swift Current and Moose Jaw. The team is playing 6 games in 9 nights. Broadcasters Notebook: Leif Mattson was acquired from the Brandon Wheat Kings October 6, 2016 for an 8th round bantam pick. Mattson, one of only two Manitoba born player on the roster, was an 8th round bantam pick of the Wheat Kings in 2014 …Kyle Topping and Libor Zabrasky are both rated as ‘C’ prospects for June’s NHL draft by NHL Central Scouting. Topping was not on the ‘Players to Watch’ list in October before appearing in November’s rankings…The Rockets have won 10 straight games on home ice with wins over Portland, Tri City, Prince George (twice), Vancouver, Red Deer, Edmonton, Lethbridge and Kootenay….The Rockets played their 16 hundredth regular season game in franchise history November 3rd in Victoria in a 4-2 win……The Rockets are 4 and 2 in overtime with game winners coming from Kole Lind, Dillon Dube Carsen Twarynski (twice). The only loss in OT came against the Tri City Americans and Portland Winterhawks…The Rockets are 7-3-1-0 in the second of back-to-back games….The Rockets are 9-3-0-0 against BC Division teams this season….The Rockets are 12-0-0-1 when leading after 2 periods…The Rockets are 14-1-1-1 when scoring the first goal of the game…Dillon Dube, Cal Foote and Kole Lind will leave for the Hockey Canada’s main camp following tonight’s game against the Wheat Kings. The Rockets have sent 15 players to represent Canada in the prestigious event including five staff. Marcel Comeau and Marc Habscheid were head coaches while Ryan Huska was an assistant. Jeff Truitt was a video coach for Canada. Scott Hoyer and Jeff Thorburn were members of Hockey Canada’s training staff. Eastern Conference Roady: The team begins an Eastern Division road trip tonight in Regina, It continues December 9th in Brandon, December 12th in Moose Jaw, December 13th in Swift Current, December 15th in Prince Albert and concludes December 16th in Saskatoon. The Rockets were 3-3-0-0 in the 6 games in 2015-2016 with wins in Regina, Swift Current and Moose Jaw. Team is playing 6 games in 9 nights. Sasky Boyz: The Kelowna Rockets feature four players and two staff that have ties to Saskatchewan. Kaedan Korczak is from Yorkton. James Hilsendager is from Lloydminster, Saskatchewan while Erik Gardiner is from Humboldt. Kole Lind is from Shaunavon. Athletic Therapist Scott Hoyer is from Regina while broadcaster Regan Bartel is from Swift Current. Broadcasters Notebook: Head Coach Jason Smith played 128 regular season games for the Pats from 1991-1993. 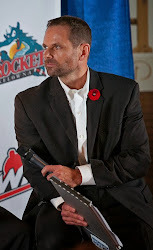 Smith was the team captain in 1992-93 scoring 14 goals and collecting 66 points and was named the WHL defenceman of the year, was named a CHL 1st team all-star and won a gold medal for Canada at the World Junior’s …The Rockets have shorthanded goals in four of their last five games…Forward Erik Gardiner has missed 14 straight games with injury. Gardiner last played October 28th against the Prince George Cougars….Leading scorer Kole Lind had missed 7 straight games with mono but returned Saturday with a goal and an assist in a win over Kootenay…Kyle Topping and Libor Zabrasky are both rated as ‘C’ prospects for June’s NHL draft by NHL Central Scouting. Topping was not on the ‘Players to Watch’ list in October before appearing in November’s rankings…The Rockets have won 10 straight games on home ice with wins over Portland, Tri City, Prince George (twice), Vancouver, Red Deer, Edmonton, Lethbridge and Kootenay….The Rockets played their 16 hundredth regular season game in franchise history November 3rd in Victoria in a 4-2 win…Carsen Twarynski has 15 goals in his last 16 games….James Porter has started in 18 of the last 22 games…The Rockets are 4 and 2 in overtime with game winners coming from Kole Lind, Dillon Dube Carsen Twarynski (twice). The only loss in OT came against the Tri City Americans and Portland Winterhawks…The Rockets are 7-3-1-0 in the second of back-to-back games….The Rockets are 9-3-0-0 against BC Division teams this season….The Rockets are 12-0-0-1 when leading after 2 periods…The Rockets are 14-1-1-1 when scoring the first goal of the game…Dillon Dube has goals in four of his last five games.